Individually Sleeved Modular Cable upgrade kit for the Professional Series AX1500i/AX1200i/AX1200/AX860/AX850/AX750/AX650 PSUs. 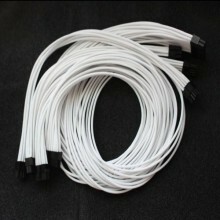 Please feel free to contact us if you need any sleeve color combination or custom modular cables for other PSU brands! Same price for any cable sleeving color! See Custom Cable Showcase for cable sleeving color reference. What a Great Set of Cables! 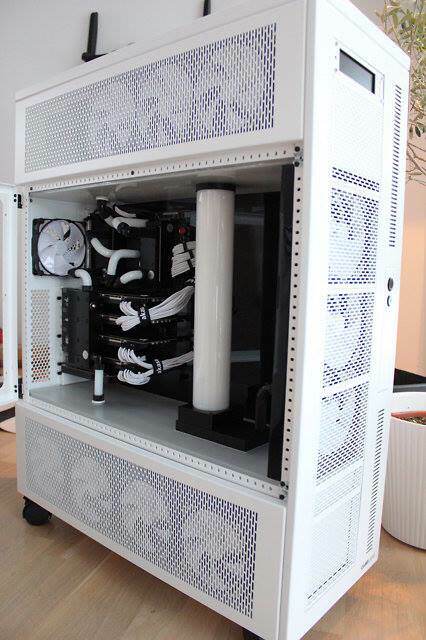 "This is one of the best looking cable sets I have ever seen! I am moding my Corsair AX1200 PSU to a green theme to match my upcoming HafX Nvidia Edition Green build, so these cables are key to that success and I have to say they are just what I wanted. The colors are so on the money and the quality, as well as the performance, is spot-on." Click the button below to add the Corsair AX Professional Series Individually Sleeved Modular Cable Set to your wish list.